Mr. HOY Sereivathanak Reasey, a deputy head Department of Natural Resource Management and Development (NRMD), Royal University of Phnom Penh (RUPP). Prior to teaching at RUPP, he was a Project Coordinator at CARE International in Vietnam. Reasey received his Engineer in Agronomy (year 2000), B.A. in English Literature (year 2003), M.A. in Natural Resource Preservation and Rational Exploitation (year 2004) from Vietnam National University of Ho Chi Minh city. Graduate Diploma in Environmental Governance and Development in Australia National University (ANU, year 2011), and currently he is pursuing Ph.D. in Development Economics at Vietnam Social Academic. Reasey’s teaching experience as a senior lecturer in Environmental Policy and Regulation. With his management, teaching and research outcomes, he has honor awarded the Royal Medal of Chevalier year 2011. Hoy S.V.R et al (2017) Integrated Coastal Management. Course note and training manual, IUCN-MFF, Cambodia. Hoy S.V.R et al (2014) Assessment of Livelihood and Resilience Strategy of Coastal Community to Climate Change, RUPP Working paper, Phnom Penh. Hoy S.V.R & Kim D.R. (2013) Studying on Process of Artisanal and Small Scale Gold Mining and Solution for Reducing Mercury Vapour Impacted, RUPP Working paper, Phnom Penh. Hoy S.V.R (2007) Marine Resource Management. Undergraduate Course Note (RUPP), Danida and USPAM, Phnom Penh. Hoy S.V.R (2004) Evaluation and solution identification for the environmental issues of Kampong Thom province, Cambodia. M.A. thesis, USSH, Ho Chi Minh. Hoy S.V.R (2003) Cambodia-Vietnam Trans-boundary Timber Trade Analysis. Youth Scientific Conference, Vietnam National University, USSH, Ho Chi Minh. 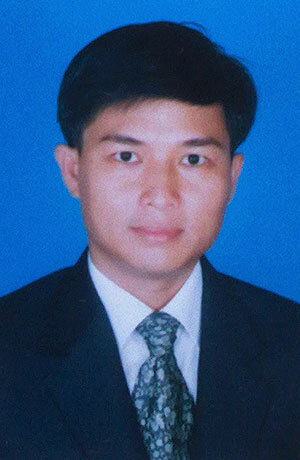 Nguyen T.H. & Hoy S.V.R. (2001) Study on Nomenclature of Red-Soil Types Developed on Basalt Rocks in Kampong Cham Province, Cambodia. Vietnam Soil Science Journal N0 15/2001 (Special Issues).